It is the soul-satisfying, thirst-quenching grandma's lemonade that makes long scorching hot summer days better and full of fun and laughter! 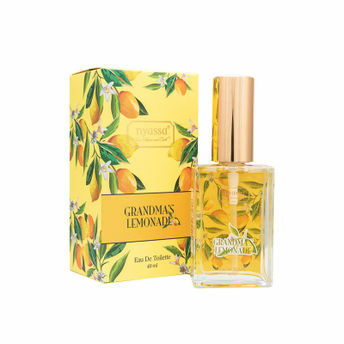 Nyassa takes you on a journey down the memory lane with Grandma's Lemonade Eau De Toilette. The sparkling and fresh top notes of mandarin, grapefruit, basil on a base of vetiver, smoky patchouli and cedarwood will instantly bring back those childhood memories you cherish. This uplifting fragrance encompasses those happy summers in its pleasing citrus notes.